Climate change is the most urgent issue of our time. With climate deniers firmly in control of national policies, it will be up to the states to hold corporate polluters accountable. New York must lead the way. 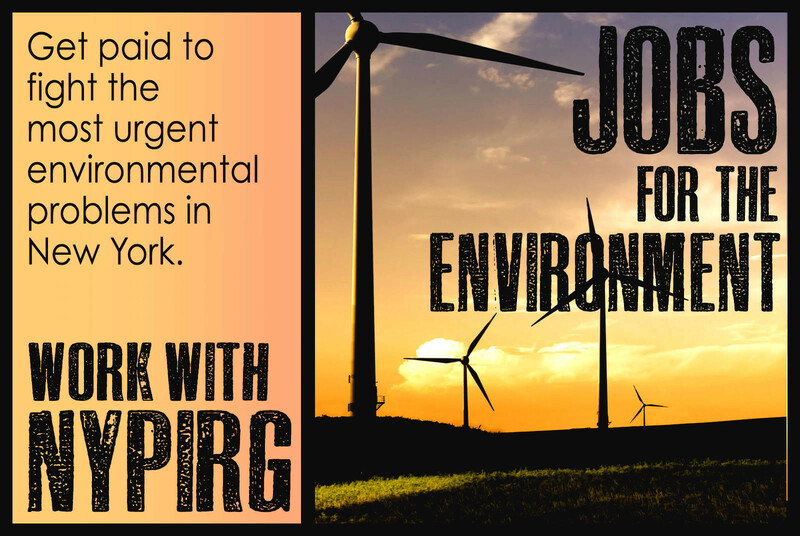 NYPIRG is hiring college students, recent grads, and others to mobilize the public on this critical issue. Build your resume, make friends, earn $500-700 per week, and help build a movement to stop climate change and win a renewable energy future. The New York Public Interest research Group (NYPIRG) is a nonpartisan, not-for-profit organization that advances important public interest issues through sophisticated grassroots organizing and advocacy, public education, and media exposure. Since 1976, NYPIRG has played a key role in fighting for more than 150 public interest laws and executive orders that protect the environment and public health, safeguard consumers, improve public transportation, and foster open, responsive government. NYPIRG is an equal opportunity employer.